Collected, stabilised and named by Rafael Oliveira, Brazil. 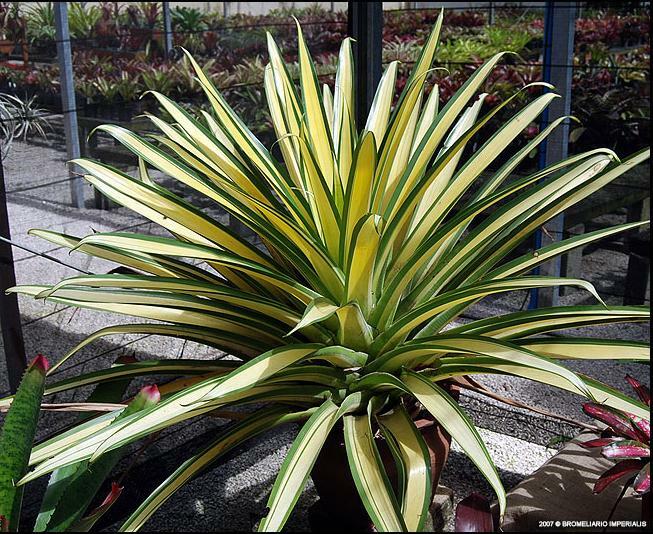 This is the first reported case of a variegated glaziouana. Found in 2000 on bare rock in Barra da Tijuca. Reg Doc by Bromeliario Imperialis. Previously named Al. Cesar Suypeene. * Not yet in Australia.